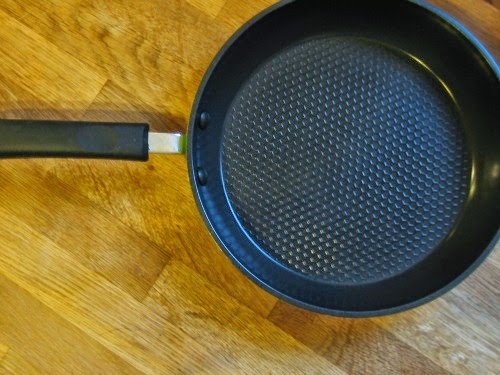 The people at Ozeri sent me this frying pan to review and keep - Thanks guys! 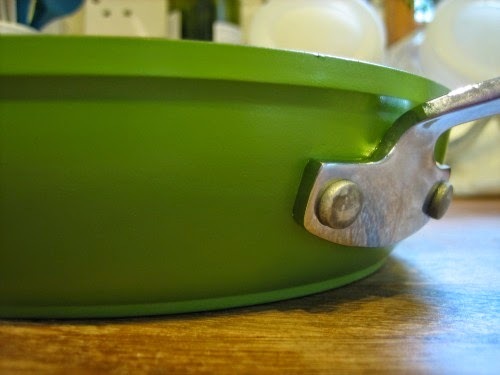 It is a great little frying pan, a good solid weight, and is a very pretty green colour. I've been using the pan a lot over the past couple of weeks, and I haven't found any down sides to it. 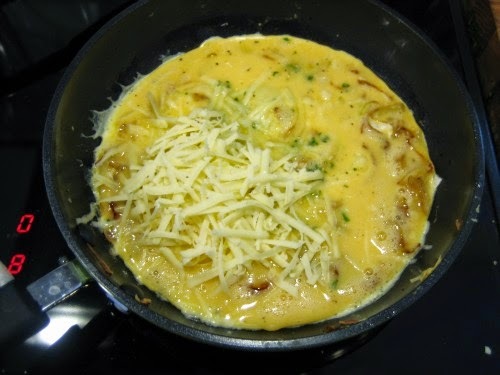 It is a non-stick pan with a ceramic coating rather than the traditional non-stick surface, you need to wipe it with a touch of oil on a paper towel before each use - I have no problem with this and have not had any real problems with things sticking. The instructions recommend hand washing, but "A dishwasher can be used" I'm a busy mum and we live in a soft water area, so it get's popped in the dishwasher. Brilliant! It has a hexagonal pattern on the cooking surface which apparently aides heat distribution... but it does make a weird pattern on your pancakes, Small likes this, so I'm not saying it's a bad thing. Leaving a hexagon pattern on your fried eggs, omelettes and pancakes, it's a bit weird but no big deal. 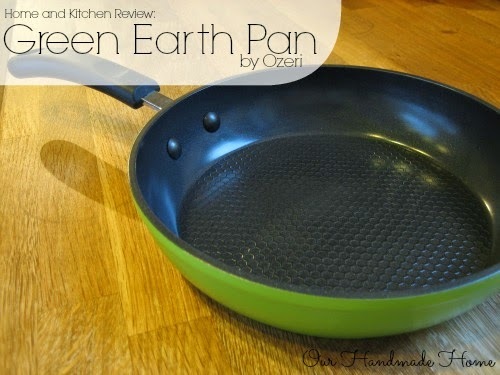 Would I recommend the Green Earth Pan to a friend? Yes, I really like it, it's a very nifty wee pan. The frying pan was sent to me for review purposes. 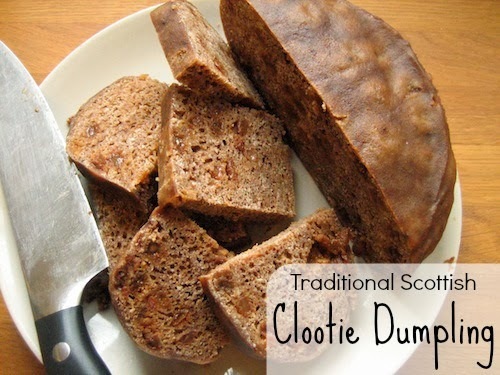 Labels: Cooking , Kitchen , Review , Sponsored Saturday.